Music was my first love. With a mother and an older brother who played piano, this came naturally. Early on I was picking out tunes I had heard on the piano. Once, I remember, I was working hard to find all the notes to “Jesus Loves Me,” when my Dad interrupted to say that we had to leave. I was so upset; I had to finish that song! Soon after that my mother enrolled me in piano lessons. I took piano lessons from age 9 to 18. During my high school years, my eyes were opened to my second great musical love - the choir. I continued my involvement in choir and piano through college, completing four additional years of piano lessons and a Master of Music degree in choral conducting. 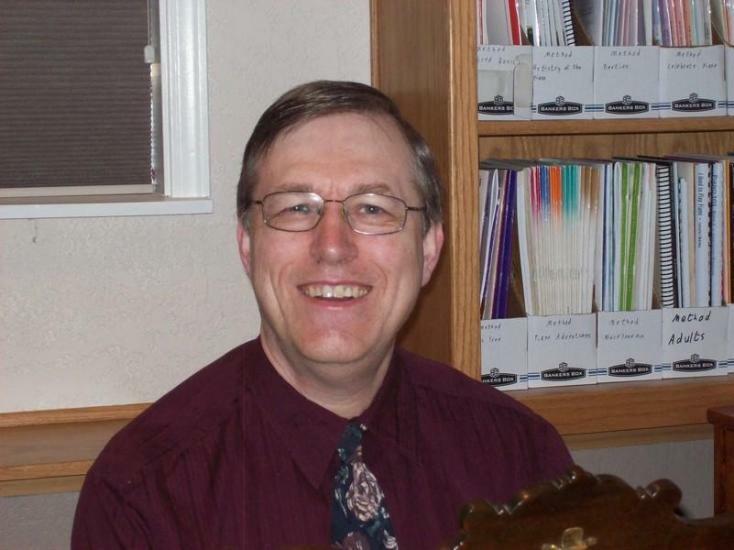 Over the next 9 years, I was a church musician in the Seattle area, as pianist, choir director, and minister of music, as well as teaching private piano. My wife, Mary, and I then moved into ministry in Europe for 6 years, first in Estonia, and then England. Music was a major component of my work in both locations. After spending 6 years in the Seattle area as a small business owner, I returned to teaching piano in 2010. I hope to launch many into a life-long love of music. I am a member of the Music Teacher's National Association, and their local and state chapters. I enjoy gardening, particularly raising vegetables and pruning my bushes and trees. My three children, ages 16-22, keep me busy in their activities as well. I pride myself on presenting a balanced approach to music instruction, including not only learning to play the piano, but also understanding the way music is put together, appreciating the relationship between music and history, improving your technical ability to play well, and developing your own creative voice through improvising, arranging, and composing. My personal musical taste is classical music. I include popular music in my instruction to add interest and present a complete picture of music, but those who want a decidedly popular approach, who wish to learn piano primarily by chords or wish to study jazz piano, will find better teachers elsewhere.